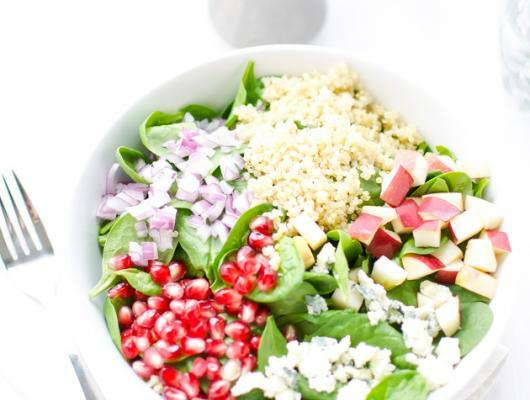 In a medium bowl place spinach, then top with quinoa, pomegranate, onions, apple and blue cheese. Add candied (or toasted) pecans (optional). 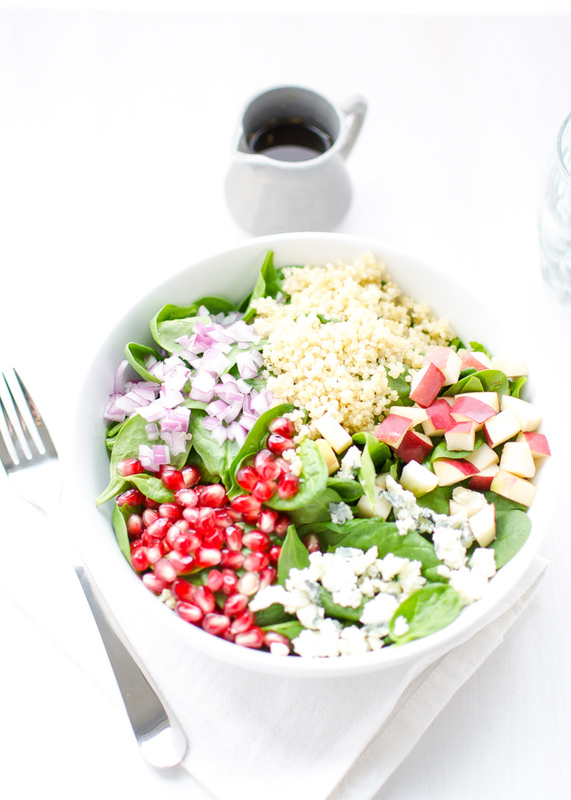 Whisk all dressing ingredients in a bowl to blend well.